The DLC is responsible for ensuring the long-term success for District 48. This is accomplished by carefully screening potential candidates for leadership roles within our district. The current District Director appoints a committee chair to govern this process. Past District Governor, Vijayn “Vj” Nair has been appointed as the 2018-2019 DLC chair! The committee chair will then assemble the committee members, representing each division within the district. Together, the chair and the committee screen potential future officers for eligibility. Once the screening is complete, the DLC will announce their nominations. See Policy and Protocol, Protocol 9.0: District Campaigns and Elections, 2. District Leadership Committee for information on this process. 10/01/18 District Director appoints District Leadership Committee (DLC) chair. 11/01/18 DLC members are recommended by the DLC chair and approved by the District Director. 11/30/18 Call for candidate declarations. 12/15/18 All Nominations and Officer Agreements sent to District Leadership Committee Chair. 01/05/19 Candidate Interviews by DLC. 03/29/19 DLC publishes nominations on District website. Floor candidates may declare their intent to run after the DLC results have been announced. 04/27/19 Candidates Showcase at Spring Conference. Time TBD. 04/27/19 Elections ( For District Director, PQD, CGD & Division Directors only). 07/15/19 Deadline to submit Officer Agreement and Release Statements and District Leader rosters to World Headquarters. 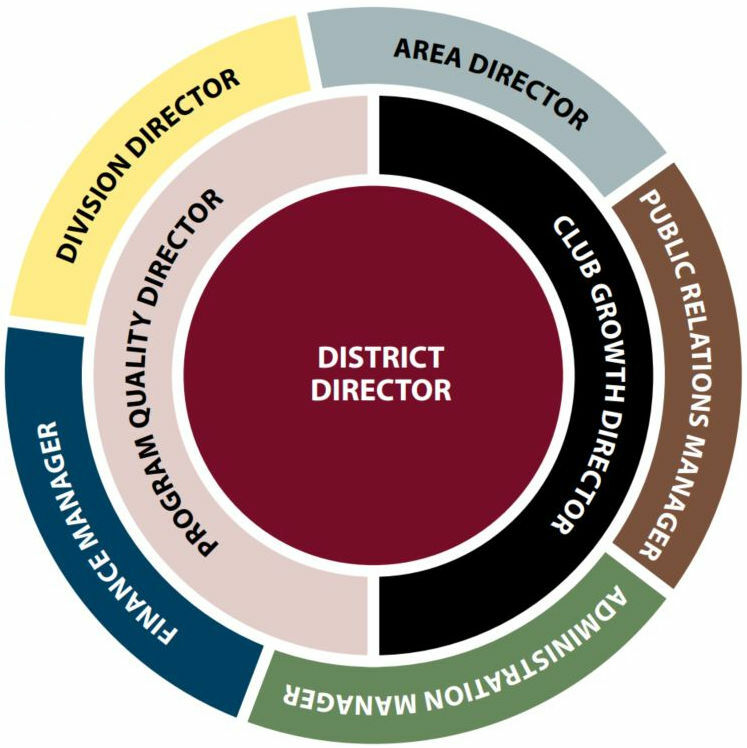 Are YOU Interested in Leading Our District? If yes, click on the links below! Scan and email your completed forms to Vj at [email protected].